Note: no game should be categorized here. This is a disambiguation page and a category for types of PC platforms. 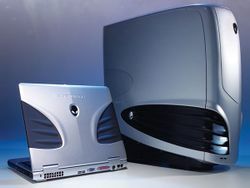 The PC (short for Personal Computer) is a versatile gaming platform, but it is generally not classed as a console. This page was last edited on 4 August 2016, at 21:26.